4 years and still not even a peep from Resilio on this basic feature. Do they really think it isn't useful at all? This is an essential feature for me. I have a lot of common folder names. On my desktop, I can see which folder is which by viewing the path, but on my NAS that's set to sync everything, I have to go through extra steps to re-connect syncs with duplicate folder names to put them into a new directory. There are workarounds for Windows and Android. Create empty folder with desired shared folder name, e.g. Documents on Laptop. Create shared folder using it. Connect shared folder using real data location, e.g. Documents. Unlink your device from your identity. Create backup, e.g. enable photos backup. Open backup settings and copy link. Edit shared folder name, e.g. change DCIM to MotoZ3_photos_backup. 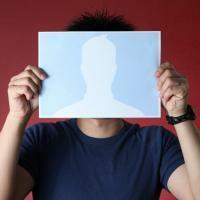 Connect shared folder to your identity using this link. Confirm connection on your device. Link your device to your identity. This workaround was not tested for behavior on disabling and reenabling backup on your device or on further unlinking device from your identity and relinking it back.